Are you aware of the benefits of an outside sewer cleanout? Most of the time, plumbing issues are fixed at the source, like your toilet. However, sometimes the main sewer line leading from your house to the city sewer system can clog. This is when having an outside sewer cleanout saves the day. How Does a Main Sewer Line Work? Any water draining from sources in your home like your toilet, sink and shower flow to your main sewer line. The wastewater flows through your main line to the city’s sewer system. When the main line becomes blocked, it causes the water to backup through your system. A symptom of this could be water leaking out through your floor drain. Yikes, what a mess! What Is an Outside Sewer Cleanout? An outside sewer cleanout is connected to your main sewer line under the ground. The pipe forms a vertical line from the main line up to ground level. The access point is located outside of your home or business and covered with a cap. Sometimes a covering plate adds extra protection and aesthetic appeal. Why Should I Invest in an Outside Sewer Cleanout? An outside sewer cleanout provides an easy access point for professional drain cleaners to fix your main line sewer issue at ground level. This means they can quickly address your drain issues without having to access an internal sewer pit. Also, major digging will hopefully be avoided. 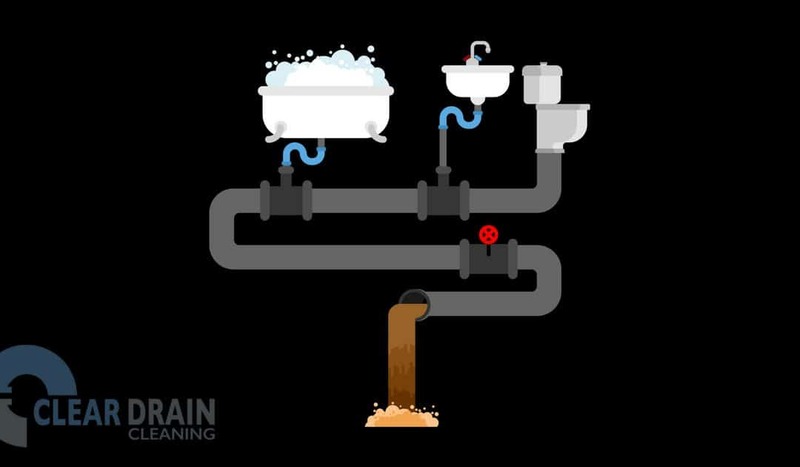 Overall, by making it easier for a drain cleaner to access the sewer line, it saves you time and money. It normally means less mess too! How Do I Know If I Need an Outside Sewer Cleanout? We recommend every home have at least one outside sewer cleanout, so blockages in your main line do not become a major difficulty. Drain cleaning professionals have special equipment that works particularly well to unclog blockage through an outdoor access point. If you’re ready to invest in an outside sewer cleanout, we’re here to provide our excellent installation service. Clear Drain Cleaning is a local owned company that specializes in residential and commercial drain, sewer and septic services such as electric drain cleaning and hydro jetting. Our tools and methods are safe, reliable and fast. We’ll have your drains, sewage and septic systems clear and running smoothly in no time! We proudly serve Holmes County, Wayne County, Tuscarawas County, Coshocton County, Stark County, Ashland County and Carroll County. Contact us today and Like Us on Facebook!